The 2017 Global Economic Impact and Issues Report showed that over 80% of travel planning is through the internet, and 33% of users use travel blogs for advice. YouTube data shows that travelers are spending more time watching online videos than ever before, with views of travel-related content up 118% year over year. According to the data, the most impressive growth are on mobile devices which is understandable because travelers are constantly on the move. With that said, having a website does not guarantee success. In fact, most travel companies have a website already, which forces you to go beyond that to become the leader of the pack and make yourself different. So what is the thing that makes one travel company more successful than the others on the Digital front, is it the technology, the design, the content that they post or is it something else? 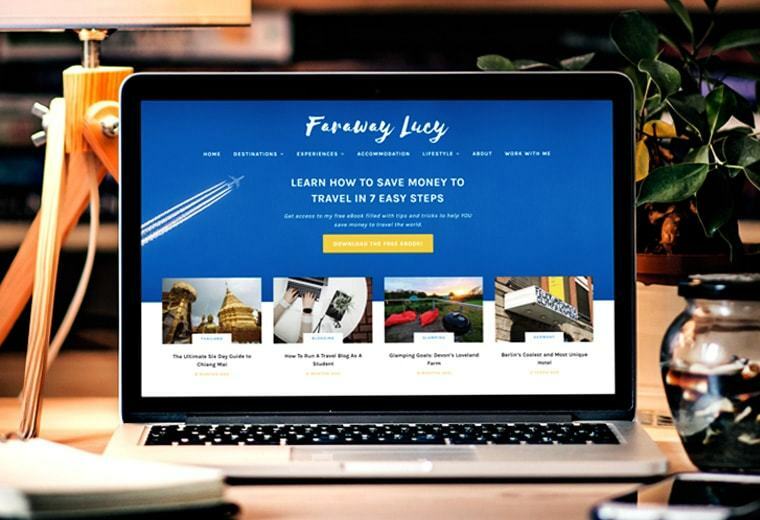 In this article, we will go through a number of travel website models that are doing well in term of traffic (and fame), we will analyze what they do and then later create a list of what we can learn from all these examples. The younger generation no longer prefer touring in large group with fixed schedule, they prefer to discover things on their own and have a flexible schedule that they can easily change according to the situation. People love to share their own experience, leaving reviews and tips as well as checking other travelers'sreal experience and learn from others' success and mistakes. TripAdvisor, for example, is a big Travel and Hospitality Industry related website offering reviews and bookings online. Since July of 2016 this site has been considered one of the web favorites of travelers looking for information of their destination before jumping on their next summer trip. 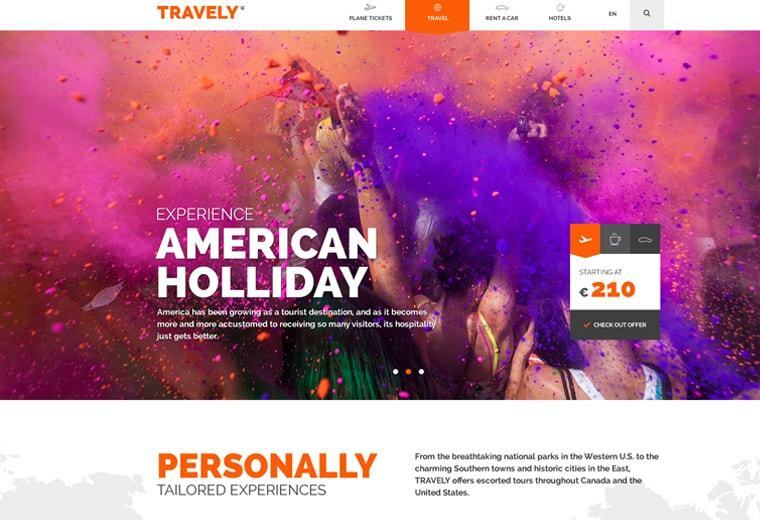 For travel and tour websites, travelers want to know how the other travelers rate the service quality and the experience of the trips. Having testimonials on the site is essential but not enough because testimonials can be faked. If you plan to post testimonials on your website, do not use stock photos and canned reviews, ask your customers for their permission to use their own photos, personal information (name, city) and real reviews to build trust. Many travelers also find it more useful and trustworthy if the testimonials are left on acknowledged third party websites such as TripAdvisor. One thing that is on the rise is vLog (Video blog). If a picture says a thousand words then a video says a million words. If you can use this new shining technology to capture real footage and experience of your services and show it to the world then there is nothing that can speak better than that. Videos help people to immerse themselves in the experience and imagine themselves in the experience that you show. We personally think vLog is now the coolest way to share tips and reviews and show people what you have to offer. People tend to trust stories told by individuals more than content generated by firms and companies. Many recent websites have started to use a more personal tone when trying to bring their messages across. Ads and promotions are also getting smarter and more personal using various information about the users from their browsing behaviors as well as their interactions on other multimedia platforms such as social networks. Personal contents can also include your customer’s past experience in a certain place. While this might be similar to a review except that this is more detailed and more personal since they will be sharing what they did, where they went and how much they have spent, for example, to make the most of their trip. By incorporating a personal section in your website which composes of posts from your past customers, will not only help other travelers but will increase your credibility as well. The more personal contents you have in your website means you have already serviced quite a number of travelers thus making you a trustworthy travel companion. The real reason why people go online is because it's convenient. We can check for the current weather at the destination, book for a tour, reserve a room, everything within a few clicks (or touches). If you are a hotel / accommodation service provider, you will be much appreciated to offer the online booking availability. 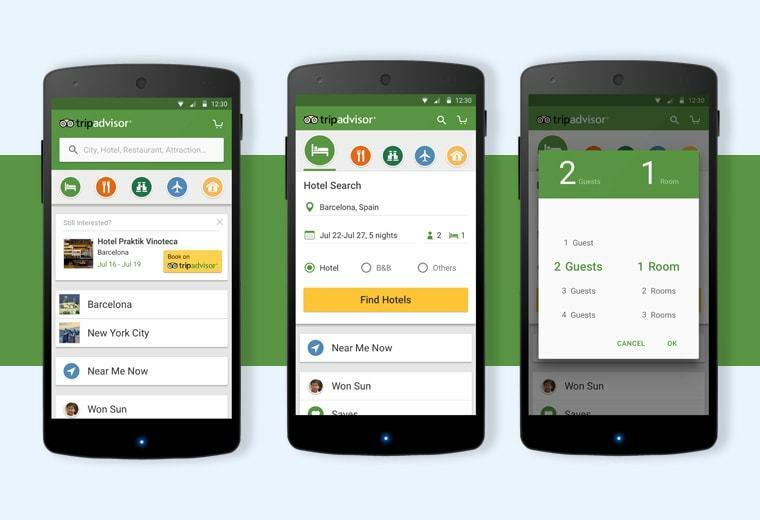 You can even go one step beyond and put yourself in the travelers' shoes and see how you can improve their booking experience. Perhaps they have a flexible timeline and want to find out which date is has the cheapest rate during December, can your system help them with that? What if they arrive late at the night and want to be picked up at the airport or having an extra bed for the kid? By offering a smooth online experience, you already score the first five star impression with your customers and hugely boost the chance of getting the business from them. A standardized and automatic process also helps you to save human resource, reduce cost, and minimize mistakes to ensure the experience for your guests. A traditional physical office that limit your reach to only the number of travelers within your office’s vicinity and only a few will hear about your deals. You will be able to get a booking request from all over the world without the need for a physical office, which is, by the way, an additional fee you have to pay. Your website is your best worker, it works 24/7, 365days/year without asking for promotion and over time without complaining :) (It's the webmaster that will complain and ask for over time, however). With your website, you can push news, promotions, and other latest updates to your audience all around the world within a few seconds without any extra cost or any need for pre-booking and pre-planning. How cool is that? The web has open gateways for businesses to stay in touch with their audience for a fraction of the cost of using traditional medium while at the same time also offer never before seen ways to interact with them. Just a few years before, you can only get the best price if you pre-book way before your travel/stay date. Now, you can book within the same date and still get super huge discount by using services such as HotelTonight. If your business model has a large percentage of fixed cost associated with number of clients/passengers, you may want to consider offering last minute deals that can help you to cut the losses and improve your balance sheet. How do we get more people to know about our website? This is probably the question that almost every website owner asks (including us). We have seen a few ones that work for our clients and some other travel websites that we follow, we will list them in no other. This is classic, but you cannot avoid doing it so it's a must have. Generally SEO (Search Engine Optimization) is good for local business listing, commonly searched key phrases associated with the services or the destinations that you operate your services. If you offer "Myanmar Border Crossin" then it's definitely the key phrases that you should aim for while trying to get a high ranking on the search result. SEO, however, does take time to rank. From time to time, you will have last minute deals that you absolutely have to push to your potential customers as soon as possible and this is where SEM (Search Engine Marketing) comes into play. 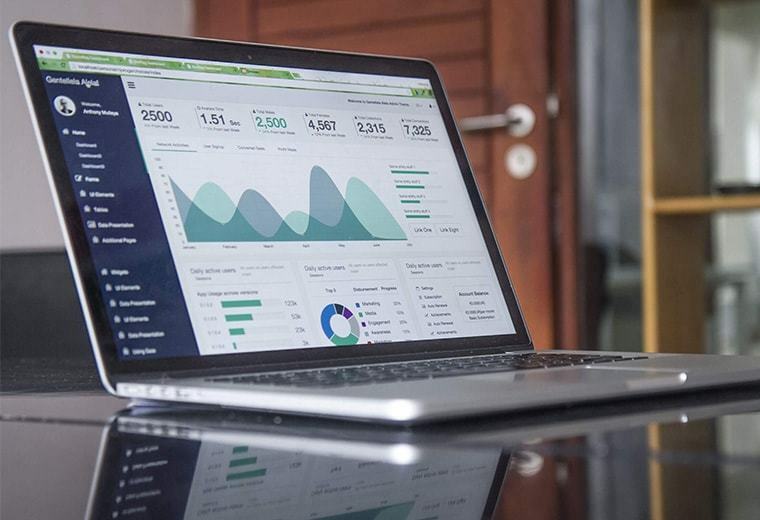 With SEM, you can pay to get your website ranked high on certain keywords that are important for you and you can even target the audience to ensure that only a sub segment of the audience can see your promotions (i.e: males above 30 year old living in New York). Travelers are looking for a travel experience that offers personal and professional growth. They want to make sure that they go to places that enrich their own personal growth and what do they rely on? Reviews and Content. And by content, I mean text, pictures, videos, and audio. 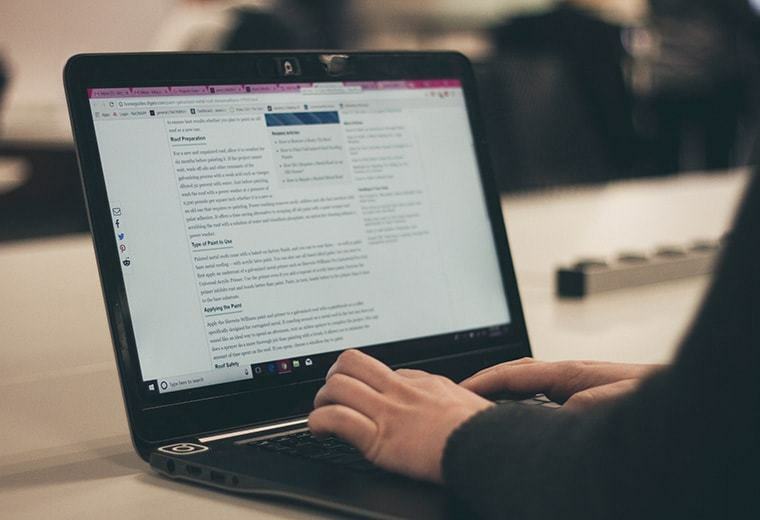 Text content is still the pillar of Content Marketing but only because Search Engines are still not so good at indexing and ranking other types of media. Travelers are no longer satisfied with text and photos however, they demand to see everything in motion, they want to hear the sound and be immersed in the environment as if they are right there at the destination. 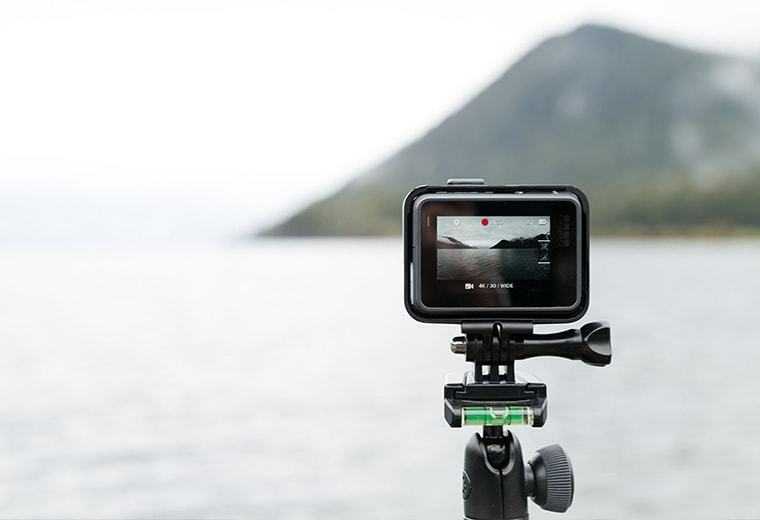 Recently, food and travel vlog with real time streaming have become one of the hottest trends in the Digital sphere. A good vloger can quickly grow his/her subscribers by the number of millions in a year and this leads to the next tactic. People feel connected to and follow the individuals that they like and trust the reviews, advice and suggestions from these influencers. Working with influencers that are somehow related to you and your services allow you to not only quickly spread the words about your services but also gain credibility and trust from travelers who already trust the influencers you work with. There is one word of caution though: be very careful with influencer marketing because it can bite back. Influencers are normal human beings and they have their own opinions and they can make mistakes which can in turn affect the businesses they are associated with. about your exciting deals and offers so that they will not miss such great opportunities. You can also use the social media platform and start making noise about your brand there. You can promote your website in your social media account or vice versa, either way it will guarantee you an increase of loyal patrons. Don't be scared by the big word "automation". It's rather simple yet very effective marketing technique that can go very well with Content Marketing. 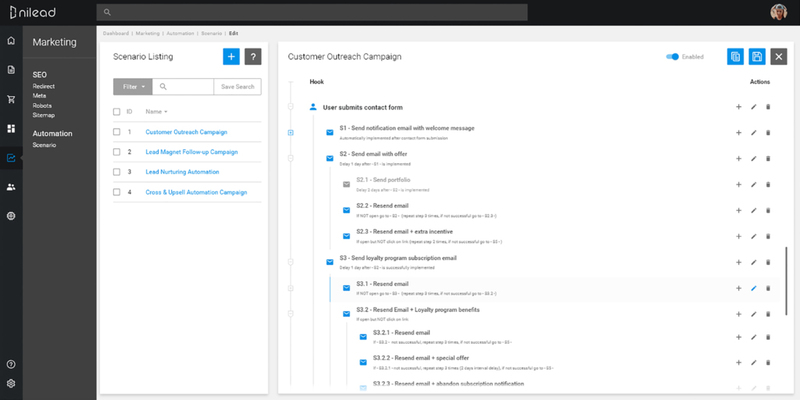 Basically, you want to automate the redundant tasks such as composing emails, sending our newsletters, keeping your beloved customers updated with the latest information that is of their interest. Last year, we attempted to do "cold mailing" by obtaining a list of all Furniture related businesses in Singapore via public listing then emailed them with useful information regarding their own websites (what they are doing wrong and how to improve etc). We then wait for a few days and then send out another batch of email, this time based on several conditions such as: were the emails opened, were the links inside clicked, etc... Then we waited for a few more days and send out another batch of email depending on the users' reaction from the last ones. (Obviously we offer the option to opt out of the mailing list at any time). We ensured that our content was not spamming and that it could bring some values to the readers by preparing articles such as Furniture website design best practices. We managed to do that for about 100 businesses and got some good successes from that campaign, but that was a lot of work and everything got complicated soon. Automation came to the rescue. With automation (which is the super cool new feature that is included for free in our CMS for our clients), we can now create various scenarios and ensure that we do not miss anything while spending 1/10th of the time that we used to. This new type of marketing relies on the assumption that you can collect a huge amount of data (which is usually not the case for small and medium businesses). If you do have access to a huge amount of data, however, you can combine this with marketing automation and do some super cool things. By analyzing the visitors' pattern, for example, you could offer a totally personalized digital experience for your visitors. 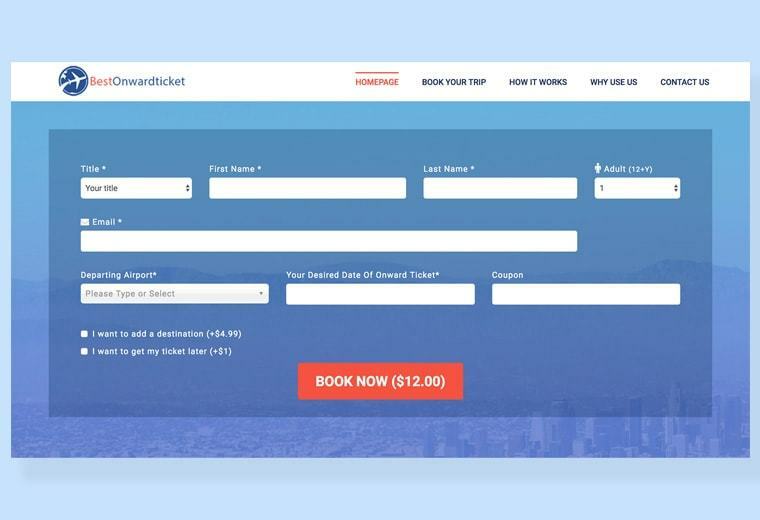 If you are an airline or big travel company you could dynamically create deals and offer by projecting the number of buyers in the near future and thus maximize your profit. The best (and probably most difficult) thing about Big Data is that you could detect common patterns using huge amount of data, segment your customers and target marketing accurately instead of sending spammy mass marketing messages to all your customers. If you can detect that a person is likely to take a vacation next December and that he/she is likely to choose to go to an Asian country then the system can automatically send our promotion messages that include only the best deals to Asia next December. This is definitely not something that you should skimp money on. You must invest in high quality media content that can truly impress your potential customers. Do not use stock photos. Do not use low quality photos (even with instagram, try to use a good phone to take the photos, phones are so cheap now). Hire professional photographers if you must, get your photos and videos professionally edited before posting them online. At the same time, travelers will also greatly appreciate live stream videos or real-time updated instagram posts regarding the tours and the destinations. Try to include these media content on your website to build trust and excitement about your services (as well as offering the travelers a chance to see what they can expect from your services). Make sure that you update your website’s content and deals with those that are timely for the season or for some upcoming big events such as Olympics. The highlight time sensitive content should have a dedicated section on your website that can easily catch the users' attention and create a sense of urgency and excitement. You can also conduct research on the different places, restaurants or cities that are currently making noise in the internet and start planning for a good deal to offer for those who want to go and visit them. 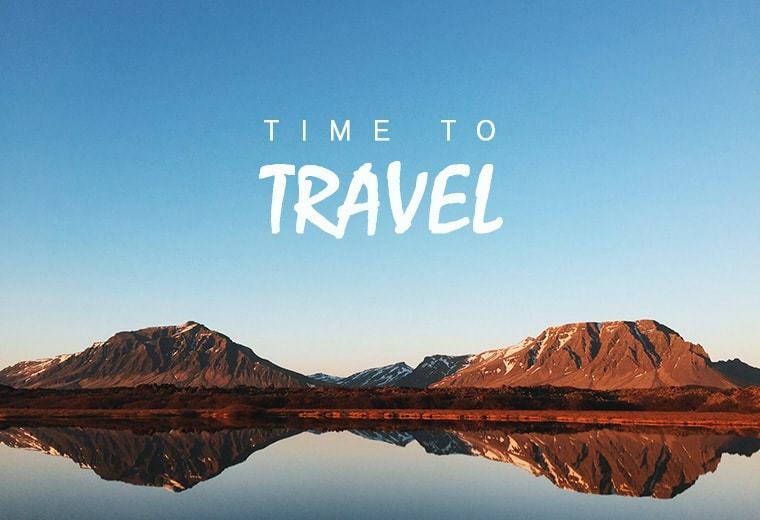 Here’s a tip: most travelers will feel the rush upon reading such timely contents and a great percentage will automatically book a deal from you once you give them a good one. So make sure you know what are timely and use this travel rush to gain more! Upon having your website loaded, entice your visitors or customers with a vivid orange scheme when it’s summer, a cool blue when it's winter, or a relaxing green when it's spring time. This way, you can captivate the “feels” of every visitor on the current season and make them want to travel more. But this doesn’t have to be always the case. You can just stick to one color scheme that is not too bright or too dull to increase the “weight” of your website layout. Make sure to use fonts that are readable as well and comfortable for your customers. It does not have to be fancy. You just have to arrange it stunningly. Nothing beats a well-organized and neat website. If you have different types of information that you want to convey such as great deals sections, stunning places to visit section, and about us section and others, you need to analyze your Content and organize your website content to ensure your visitors do not get lost in the information that you provide. Remember the rule of 3 (clicks). Ensure that your clients can find what they look for within 3 clicks away from whichever page they land to your website. Utilize Having tabs and and sticky navigation when possible to ensure that the customers are not bombarded with too much information while having the ability to access what they need without much hassle. This way, they can focus more on what your offer than thinking about how to get out of your hassle website. Beauty is in the eyes of the beholder, don't sacrifice usability for beauty. Give your users a great experience on your site and we guaranty that you will gain more loyal patrons who will come back to the site again and again. Just like how newspapers tell news, keep a hierarchy of thoughts and information in your website. This way, what is more important and appealing can easily make its way to the eyes of your customers and captivate their interests. What is less importance stays probably in the lower part of the page so that you will have more venue to lay out stuffs with more content on the top. Always remember that the first glance could tell a lot of things. It is like love at first sight. Once your visitor falls in love with your website and business at first sight, it will keep them coming back for more. Keep your users in mind, make sure that as they do their “paper works” they will feel less burdened and hassled as compared to them doing it physically. After all, this is the main reason why people go online because of the convenience it can give. Upon doing your effort in making sure that your checkout o booking page is not complicated, make sure as well that you do not miss any important details along the way. Convenience is your goal, so make sure that your customers will not experience any hindrance at all during the big day as well. As you post your deals and prices, it will be extremely helpful if you can properly break down the costs so that you can ensure there are no hidden fees that may damage your reputation and your future business. Many, if not all, look for reliable service providers that do not attempt to use marketing tactics that attempt to lure in customers by offering low price and then surprise them with hidden fees after they have committed to the services. I mentioned about this before and I will repeat it here. Reviews and testimonials are extremely important for travel websites. The reviews section will highlight your customer’s experience while dealing with you and your services. They are free to give out positive and negative reviews about you in this section. Never be contented with just positive reviews, having a few negative ones will will show that your business is real and that you do your best to handle complaints and improve from there. Most businesses tend to hide bad reviews and only highlight good reviews so people generally distrust the testimonials you post on your own site. 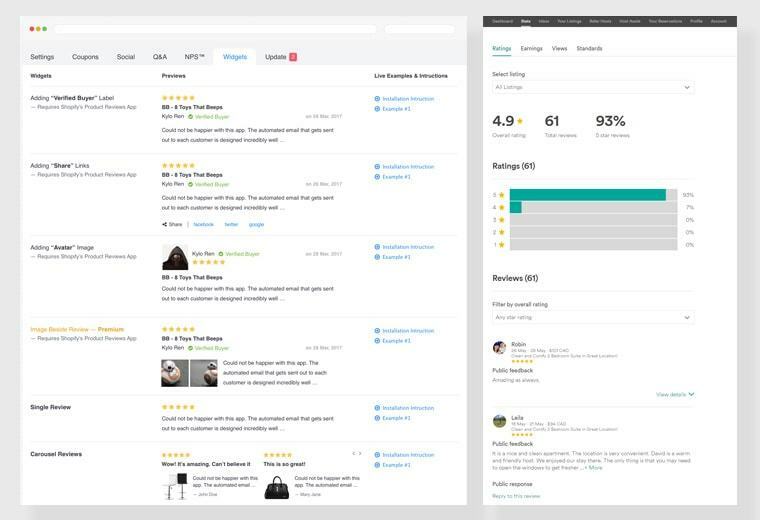 Try to have your customers post feedbacks about your services on trustworthy websites such as TripAdvisors, Booking, and other services where people use to rate services in your industry. You want to show your customers that you are really good at what you do and you want to provide them with useful information that can help their travel experience much better and enjoyable. Now, this part requires you writing occasional blogs to showcase some good places to visit, good restaurants to dine to and a good amenity to try out. Many travelers search for contents about travel to help them make informed decisions. And if you offer them a good source, they will surely come running back to your website to book a deal from you. Okie, without much explanation this is a must for all travel websites. Don't stop with the old boring photo gallery however. You can mix in users' contributed media by asking your customers to share their best moments with you. It brings a sense of authenticity as well as chances for words of mouth marketing since your customers will be more willing to share their trip story with their friends and mention about you and your services. Let us thank the genius behind such idea for this has saved millions of people’s precious time. Give your users an experience where they can easily find what they are looking for. Give them a straightforward search filter and results without any unnecessary fillers and take them to where they want to be. 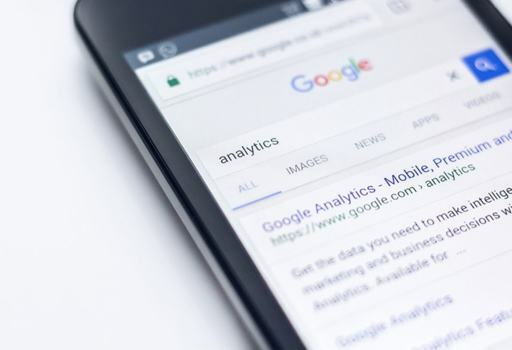 Many customers and users upon entering a website, especially those who doesn’t have a place in mind to go yet, will definitely rely on your internal search engine. Try to make their lives easier by suggesting places that could hit the golden spot and make them go “this is it” with just one hit of the search button. For those souls who really want to go all out and travel yet is lost for not knowing where they want to be, allow them to book-mark and perhaps even compare the tours that they like can be a great time-saver. Once bonus of knowing your customers' favorites is that you can start suggesting them related services that you think they may like and offer personalized deals and travel tips and tricks. Upon entering the website, you will be welcomed with a video that covers some good sights you can see upon visiting the country. They were able to market the beauty of their wildlife to entice travelers who have a big heart for animals. This website is a good based on contents, accessibility and use of media. The colors were properly chosen to make everything have a touch of wildlife. Texts were clear enough to be read even in smaller screens and the simplicity can already tell a lot of words about the website. Upon loading the webpage, this website will welcome visitors with a huge image banner of the place - a beautiful image that best represents the place and striking enough to capture every visitor’s attention. When you scroll down, different blogs and activities happening around the area were carefully chosen and placed in block contents giving each topic an area of their own. The choice of color combinations, texts, icons, fonts and animations and effects made the website look really user-friendly and fun to move around. Now, this website looks simple yet utterly stunning. 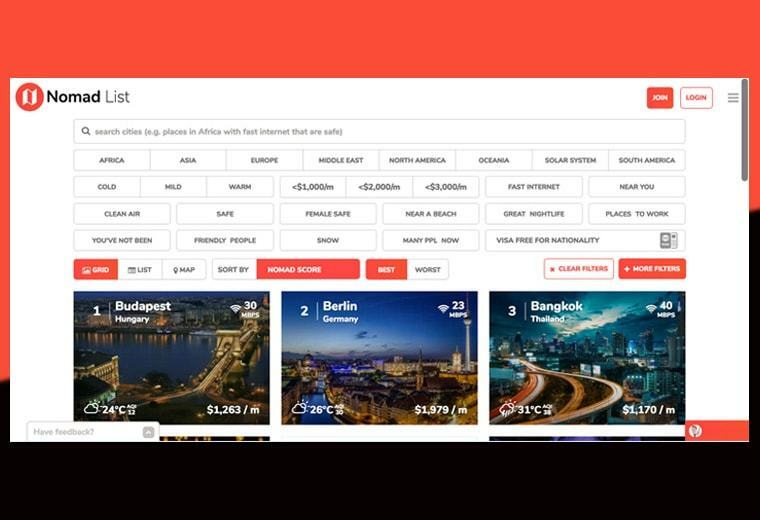 Instead of using an image banner to welcome visitors like the other websites, this one made use of video or slideshow banner to showcase the different places tourists could visit upon getting there. 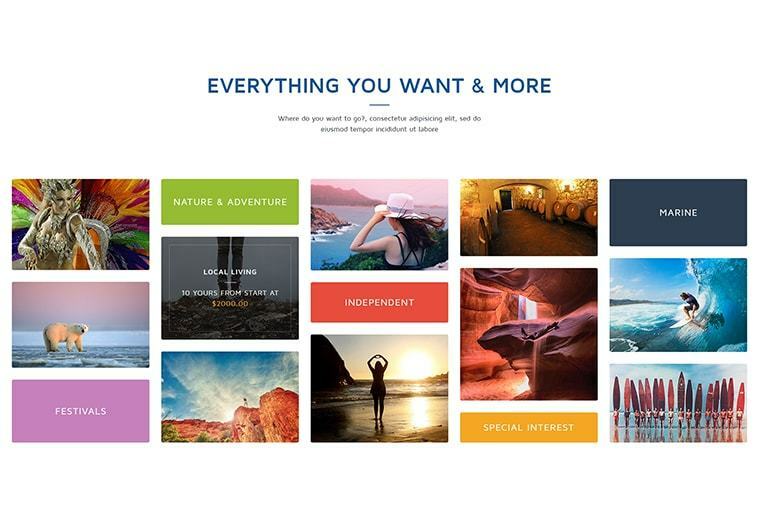 This is yet another website that highlights the importance of using stunning images with fewer words and choosing the right website animation and effects to create a good feeling when moving around. This website also made use of a uniform content block pattern of each topic creating a feel of simplicity, creativity, and uniformity at its best. Try looking around in this website and consider this as your reference as well. Unlike the previous websites, Visit Korea’s website is making use of playful and different colors for their website to which we believe signifies the colorful life in the said country. As you scroll down, contents were placed correctly in block contents to highlight the individual points and concepts. This made the website look cleaner despite it having a lot of materials displayed even on the first page. 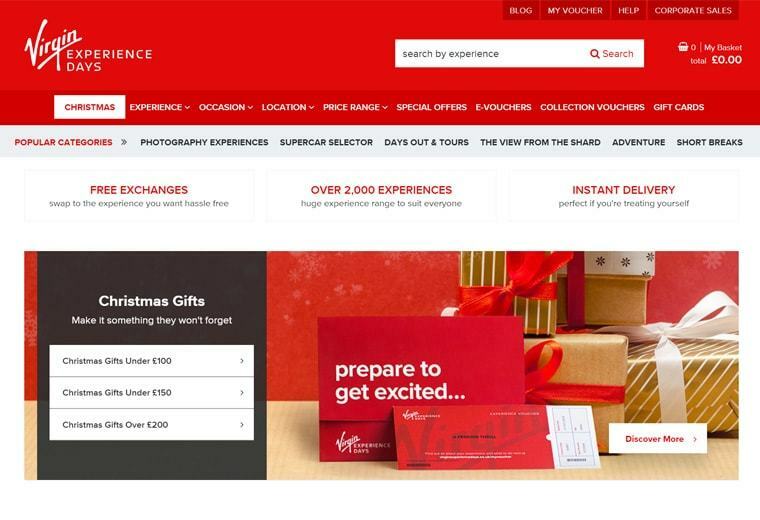 The official website of Great Britain truly offered “Great” contents. The homepage is already filled with some good suggestions that you can do during your website and some good places to visit. You can see that the content blocks were properly arranged as well. As you scroll down, you will see the contents which were highlighted because of the excellent image choices used. The website houses a few words and more images compared to the previous ones. This website is one good example how good photos can truly flip tables.